Kevin De Bryune has opened up about his time under Jose Mourinho, and his practically non-existent relationship with the former Chelsea boss. The duo was only together for half a season at Stamford Bridge during the first year of Mourinho’s second stint at the club. 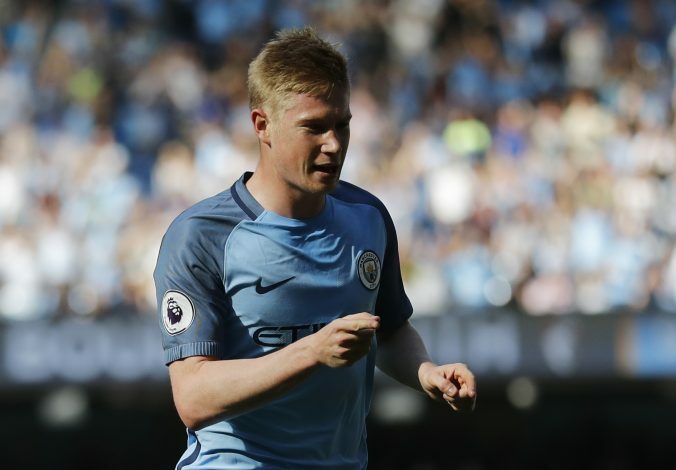 However, despite the Portuguese manager’s promises that De Bruyne would get game time – a move which made him decide against going to Borussia Dortmund at the start of that season – the Belgian made only nine appearances for the Blues the entire campaign. Having grown frustrated with the lack of opportunities, the then-22-year-old opted to call it quits mid-season and left for Wolfsburg permanently at the start of 2014. However, Mourinho’s decision to let him go proved to be a huge mistake, and the Belgian went on to have an incredibly successful spell in Germany, which prompted City to bring him back to England in the summer of 2015. He is currently enjoying the best season of his career at City, and is one of the main contenders for the PFA Player of the Year award, alongside Liverpool’s Mohamed Salah – another player Mourinho let go during his second spell at Chelsea. When asked to describe his relationship with Mourinho in an interview with the The Premier League Show, De Bruyne said: “I would say, distant. I’m not really somebody who speaks a lot with coaches. “I think if the coach wants to speak with you, then you just do it. He’s the boss, you can be good with each other but there’s still a distance between a coach and a player.